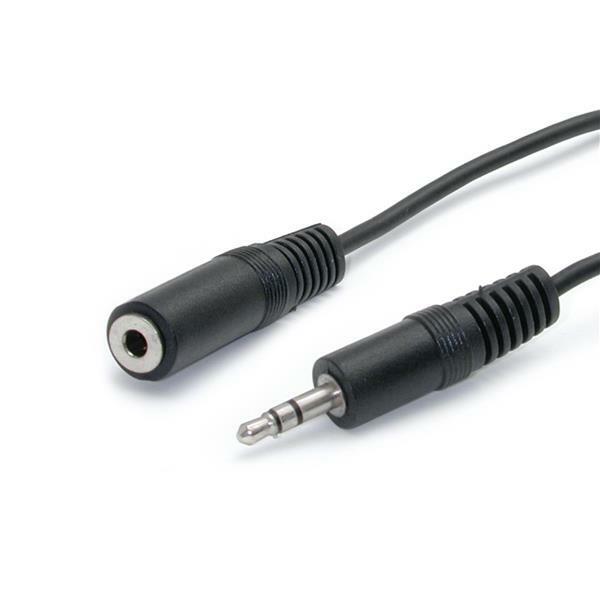 This 6ft Stereo Extension Cable features one 3.5mm Male audio and one 3.5mm Female audio connectors, allowing you to extend a computer audio connection by up to 6ft. This cable offers a cost-effective way to position computer speakers etc. as needed, without having to worry about "stretching" the audio cable. Constructed of high quality materials and designed to provide a dependable audio connection, this high quality 6ft 3.5mm audio extension cable is backed by StarTech.com's Lifetime Warranty.